So Christmas is creeping up very fast! I think people get excited over the Christmas festivities, but also know in the back of their minds it can be the time of year when food, drink and waistlines spiral out of control – often with the acceptance of ,“I’ll start again in the New Year”! Are you worried about surviving Christmas? Have you ever had a light Christmas? Are you worried that you won’t be able to control your weight? This Christmas wouldn’t you just love to be nearer your goal weight rather than worrying about the weight you have put on? There is always still time to start. This really could make a big difference to not just your health and waistline, but how much work you may have to do come January 1st…and the following weeks/months! Plan a goal or target for the New Year NOW so you can keep your mind on this goal during the Christmas Holiday. A lot of my members tell me that they lose weight twice a year; once in the new year and then again after the summer! Reason being, they hit their goal weight just before the summer and feel so great that they ‘let go’, and by the time summer has finished they have ‘let go’ too much and end up starting their diet again until a few weeks before Christmas! Then the whole story begins again – with the stresses of Christmas and all the delicious food & drink around, putting weight on is much easier than we’d like to wish! It’s coming up to that time of year again where you will be visiting family and friends and taking part in the traditional aspects of Christmas such as work parties, Christmas dinners where you are almost expected to eat lots and drink excessively. This can be an absolute nightmare if you’re trying to lose weight. It is especially bad if you’ve been trying so hard over the past few months and now you don’t want to go backwards after all that hard work you’ve put in. But at the same time you don’t want to come across as being an Ebenezer Scrooge by avoiding parties just because you might give into temptation! You can still enjoy yourself while still having a lighter Christmas. Imagine I said you’d never have to go on a ‘diet’ again? All you had to do was eat healthily and add some exercise into your lifestyle! Would you believe me? It is true and it is the best way to run your life. You don’t want to start another year saying, “I’ll do it this year”, do you? You want to say, “I’M GOING TO FINISH IT THIS YEAR, I’M NEVER DIETING AGAIN & 2017 IS MY YEAR”. These Top 10 Tips will help you get through the Christmas period without putting on too much or maybe even continue to lose weight. By following these tips I’m sure that when you jump on that scale you will continue to have a successful weight loss journey. Let the people know that you want a lighter Christmas. Don’t be shy. If you are spending Christmas with family and friends, let them know that you are trying to lose weight and that you are serious about it. This might make them less inclined to open unnecessary food whilst you’re around and you’ll be less likely to give in to temptation. It is especially important to let the person cooking the main meal know that you are watching your weight and tell them any preferences you have before the day. This might allow them to use healthier alternatives or alternative cooking methods such as steaming food rather than cooking it in fats and oils. There is no reason to be embarrassed about saying you are trying to lose weight and eat healthy. Everyone likes a drink at Christmas and sometimes we end up starting way too early in the day. The problem with this is that it can boost your appetite, making you eat and snack more until the main meal comes. It is best to avoid drinking until you can have a drink alongside your main meal. Whilst eating your Christmas dinner make sure that you eat slowly. By not eating too quickly it gives your belly time to send the messages to your brain that you are full up. There is about a 20 minute delay in this message and by eating slowly you’ll stand a much better chance of not eating too much before that message arrives. When going up to the buffet or dishing up food, eat the same as what you would at any normal meal. Don’t overfill your plate just because it is Christmas, this will make you feel obliged to eat it all. But also don’t under-fill your plate as that makes it more likely that you’ll go back for a second helping. Try to stick to your main goal and you will have a lighter Christmas. 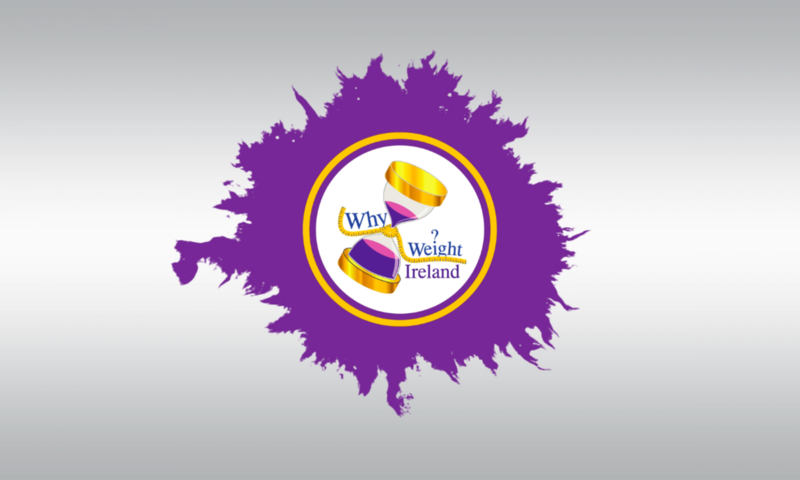 You can even pre-enter your food into your Why Weight Ireland Food Diary and you’ll be able to get a good idea of how much you can eat in advance. Bars and night clubs know that when they play the music way too loud that it stops you from talking too much and makes you drink more. So reverse this to your own benefit at Christmas parties and family meet-ups by becoming a social butterfly. By talking, dancing and having fun rather than keeping visiting the food area you’ll eat less as if you’re talking then it’s harder to eat. Fill yourself up with the smarter foods such as the vegetables in the main meal and avoid the high carbohydrate foods such as bread rolls and potato. This will make it less likely that you will feel like an overly sweet dessert or Christmas snacks after the main meal. Basically decide which foods are the better, smarter foods for you and stick to them if possible and fill yourself up. Stick to any exercise routine you had before the holidays and plan it around your Christmas schedule. This will help to remove any excess calories that you’ve taken on if you overeat. If you are with family then why not go for a short walk together or if you have access to video games like the Wii etc. where movement is involved and get the whole family involved. Get moving for fun rather than just sitting there watching the usual Christmas films that get put on every year! There is a natural urge to extend the Christmas fun for as long as possible and sometimes that means that we end up over eating on not just one day but for a few or even several days afterwards. So if you have leftover food, why not freeze it so that it is not lying around and causing you to get tempted to overeat. Try sticking to one or two days of Christmas food only. If you can let your family know that you’re wanting a lighter Christmas and trying to lose weight before Christmas you’ll be less likely to receive any presents that are food or drink based which don’t fit well with your weight loss program. If you do end up getting given presents which are food, don’t open them straight away as you will more than likely start nibbling on them – before you know it they are all gone! Being a designated driver will be a very easy way to avoid drinking alcoholic drinks with excess calories and give you an easy excuse to use. Plus you’ll be doing a favour to anyone who is currently not dieting and wants to drink. If you can’t drive or can’t have this as your excuse then why not change some or all drinks for alternatives, low calorie drinks. Make sure to check your food diary for your alcoholic calories. By using these tips I hope that it avoids you being classed as an Ebenezer Scrooge and allows you to have a great Christmas while at the same time continuing to lose weight and meeting your weight loss goals. If you manage to still put on a couple of pounds then don’t worry or quit your weight loss journey completely. Just be glad that it wasn’t too excessive like it could’ve been had you eaten more. Remember I’m always available so please drop me an email if you think you are struggling. Christmas is a fantastic period full of magic and joy but do remember that it does pass very quickly. Try not to let a few weeks destroy all your hard work over the past few months. Continue to enter everything into your food diary. You can still enjoy all that Christmas brings and trying to stay planning ahead will make things so much easier for you. Don’t let excuses get in the way! Opening tins of sweets/biscuits – You will help yourself until they are gone! Opening a bottle of wine just for yourself – you know it will all get drank in one evening! Forgetting the BIG picture. Remember why you started your journey and stick to it. Straight away you can see that the easiest way to cut down is to avoid the dark meat and stick to the Turkey breast/light meat. The dark meat is not that much higher in calories, but as you can see a small portion of dark meat has almost DOUBLE the amount of fat of a LARGE portion of white meat! As you can see again, you are doubling the number of calories and adding almost 9g of fat per portion by choosing roast potatoes over boiled potatoes. Now I really do love roast potatoes, so I would have 1 or 2 roasties and then a few boiled ones too – the best of both without going too overboard! The best tactic to get that absolutely stuffed Christmas dinner feeling is to load up the plate with lots of veggies! Eat some of the veggies first and re-fill the plate with more veggies if necessary. The rest of your meal (with smaller portions of the high calorie stuff) will satisfy you much more when you already have a little in your tummy to start with and you will definitely feel full to the brim, without actually consuming too many calories! A few small changes on the higher calorie and higher fat options gives a much lower intake, without changing how the dinner will look on your plate too much! You will still get a nice large plateful! Using a slightly smaller plate will also trick your brain into feeling like you are getting an extra large portion even with a slightly smaller portion! Most of all, you can STILL enjoy a lovely Christmas meal with everyone else without going completely crazy! To make it easier to stick within your allowance you can also adjust your diary settings to make Christmas day a “treat day” and add a little extra activity in the days leading up to Christmas!